If you liked this show, you should follow Healthy Chatter. 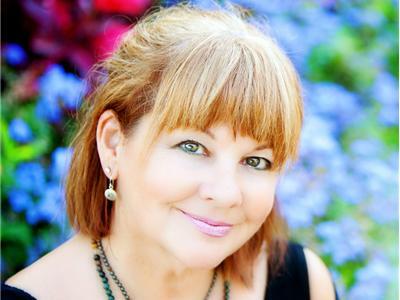 Ginette Hunter is a certified Feng Shui consultant and established interior decorator. She creates balance in her designs by incorporating modern and traditional principles. Her passion for Feng Shui shows in her work. Feng Shui Practitioners focus on proper circulation of Chi in the environment, just as the Acupuncturist promotes healthy Chi throughout the physical body. It is easy to understand the relationship between home environment and your body, both produce a sense of well being. Feng Shui is the life force in our daily environment. With the guidance of a Feng Shui practitioner, we can develop a better understanding of our own strengths and weaknesses and identify opportunities and challenges in our own lives. When our surroundings nourish us, our energy increases and we feel most empowered to achieve to our greater potential. Today Ginette is the business owner of "Harmony In Design", located in the Niagara region. She continues sharing her passion as a guest on International Radio, Television, a Keynote Speaker, Columnist, and is featured in several Business Magazines.